You don’t have to be an environmental warrior to use 321 Uppercup – the all Australian brand of reusable coffee cups. Drinking a hot beverage is a much more pleasurable experience in an Uppercup reusable cup than with the standard takeaway container..
Uppercup’s conical shape was actually designed with a barista as the ideal way to imbibe coffee. There’s also a double wall, so your drink says hot and your fingers cool. What’s more, the smooth surface means that the barista can write your order on the side, so they never get it wrong. Plus of course, your coffee order will not be contributing to landfill because this coffee cup is made from sustainable materials. 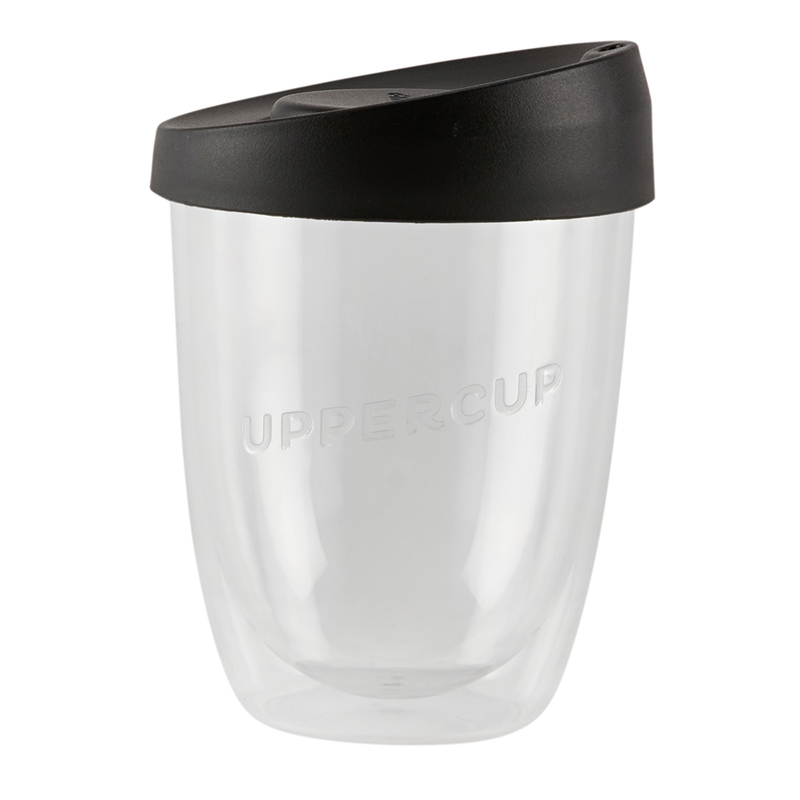 Uppercup is the brainchild of a group of young Australians, who’ve vowed that all their products will be ethically produced here, which is admirable. Environmental warrior or not, make your cup of coffee be a force for good with 321 Uppercup. Double Wall to allow the drink to stay hot but cool to the touch. Conical shape of the cup was designed with a barista for optimum coffee drinking experience. Smooth surface makes it possible to write the order on it.